Students will be able to learn that different animals move in many different ways and be able to sort animals based on their locomotion. Explain to your students that they will be learning about animal Locomotion, or the ability to move from one place to another, today. Write the word “locomotion” on the board, and explain the meaning. 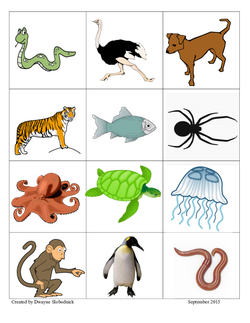 Make a word web and ask your students to brainstorm different ways animals move. Write down their answers. Watch Let’s Go to the Zoo - Animal Songs for KidsAnd invite students to get up and move around like the animals in the song. Ask your students to join you for a story at the story area. Explain to them that you will read a book about animal movement and that you want them to listen carefully and think about the different ways the animals are moving. Read Swing, Slither, or Swim: A Book About Animal MovementsTo your students. Point out some of the animals in the book, and explain how they move to the students. Ask some students to come up to the book and then have them point to the animals and say how they move. Discuss with the students that some animals are able to move in more than one way, for instance, dogs can run and swim. Explain to the students that they will are going to sort animals based on how they move. Ask your students to go back to their desks. Explain to the them that they will receive two sheets of paper with pictures of animals and that they will need to cut out the animals and sort them by the way they move. Hand out the animal picture sheets and have the students begin to cut out and sort. As you move through the classroom, remind your students that they might sort the animals differently than their friends. Tell your students to discuss with their friends why they sorted their animals the way they did. Choose some students to explain to the class how they sorted their animals. Hand out a plastic baggie to each student and tell them to put their animals in it so they can use them again another day. Enrichment:To challenge students, ask them to think of and draw other animals that would go under the different categories of movement. 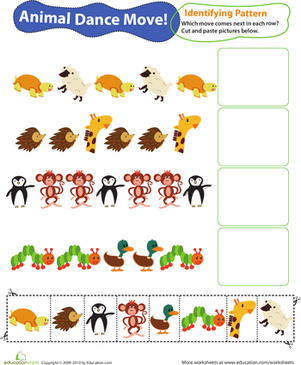 Support:Give only one sheet of animals to the struggling student, or help cut out the animals if the student has difficulty using scissors. Make notes of how the students sorted the animals and why they sorted them that way. 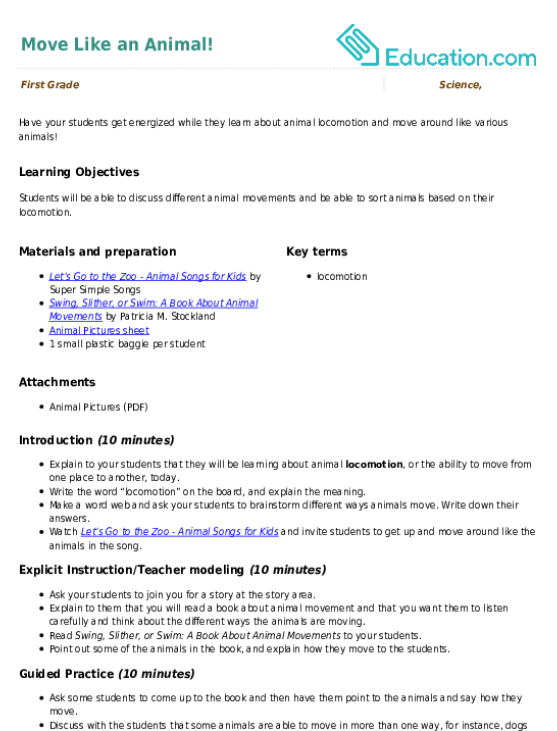 Invite students to add to the original word web by telling you any additional ways animals move. Play Let’s Go to the Zoo - Animal Songs for KidsAgain, and get all the students up and moving. This "simon-says" style game from PBS KIDS' Dinosaur Train will get your kids moving and growing their vocabulary at the same time! Which animal comes next in each line? What if you could create your own animal? With this fun paper project, your little zookeeper can! Use these eyes, ears and noses to build an outrageous animal. 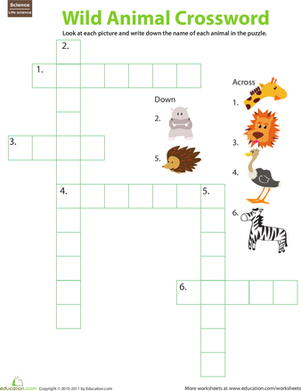 This fun drawing activity will help her learn about different wild animal tracks.